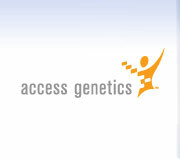 Access Genetics | Delivering the picture of health. to improve molecular diagnostics and patient care. The Access Genetics Molecular Information System, TeleGene™, optimizes workflows, enables telepathology, provides QA/QC surveillance, and offers advanced integrated reports. All the "Required But Not Supplied" Items. Best-of-class molecular materials in optimized convenience kits in quantities designed to better suit your laboratory’s needs.